I almost never watch the evening news anymore. A couple of days ago, however, I did and was rewarded with this nice act of kindness. It should make 7th-inning-stretch singing at Fenway Park a little bit sweeter. I always thought Christians would be devout environmentalists. I mean, if you believe that the Earth is God’s creation, wouldn’t you do everything you could to preserve His work? Turns out I’m a little naive on the issue. This is a terrific article about Rich Cizik and his conversion to the climate change cause. Mr. Cizik used to be vice president for governmental affairs of the National Association of Evangelicals (NAE). His “awakening” started in 2002 when he attended a conference where Sir James Houghton, a leading British climate scientist and promininent evangelical, was speaking. Cizik went to work. In 2004, he got the NAE to issue a paper “For the Health of the Nation” calling for “creation care” and living sustainably. Two years later, he helped organize the Evangelical Climate Initiative. Not everyone was pleased. “I had people on my board who said, ‘Don’t touch the issue. If you do, we’ll make your life very difficult.’” Twenty-two evangelical leaders signed a letter urging the NAE not to take a position on global climate change. Most people think Christianity is about 2,000 years old and that it began with the birth of Jesus. Diarmaid MacCulloch begs to differ. In his new book Christianity: The First Three Thousand Years, MacCulloch talks about the origins of the Church and how they set the stage for the appearance of Christ. Yesterday, NPR ran an interview with MacCulloch that I found fascinating. It’s a wide-ranging discussion covering why some countries embrace Christianity and some don’t, why the Virgin Mary is more important to Catholics than to Protestants, and more. I encourage you to click the link and give a listen. Hearing MacCulloch speak, I immediately thought of Robert Langdon in Dan Brown’s The DaVinci Code. See if you get the same impression. Yiksa Miksa, maybe I need to re-think this “act of kindness” (AOK) weekly post idea. In searching for poignant stories of people selflessly helping others, as Jesus requests/commands, I found mostly stories of kind acts turning into disasters or rudely brushed off by the recipients. Like this one and this one and this one and this one. And then there’s this one, where the woman practically DEMANDED the kindness (which kind of evaporates the positive glow, at least for me). Finally, I found this story. You could definitely argue that the act itself was miniscule, but as a dog lover who recently lost his dog of 14 years and remembers oh too well that last walk, I say it qualifies. Two posts in a row featuring an ABC video—you’d think I was living on the ABC News site. Not so, but with my floors being refinished, my universe has been limited a bit as of late. I digress. This video raises an interesting question: Is the US a Christian nation? Sarah Palin says it’s “mind-boggling” to suggest otherwise. The GOP in Florida certainly thinks so as they’re pushing for more religious influence in their sunny schools. And if you go by the pure number of people who call themselves Christian, they are clearly the majority. Two-thirds of Americans believe the Bible’s version of the creation of the world. That is, 10,000 years ago, God created the world and populated it with animals (including people) and plants. This belief always struck me as objectively and obviously and plain-as-the-nose-on-your-face absurd. Particularly when you can waltz into your nearest natural history museum and look at (and touch if you’re lucky) dinosaur bones that are millions of years old. But what do I know? The response was predictably fierce. Watch the video. Scan the top headlines on any given day and if you’re not already depressed, you might soon be. Church abuse scandals, war, terrorism, giant garbage patches floating in the ocean, political rage, the list goes on. I thought I would try to combat some of the negative effects of the day with a weekly post featuring some act of kindness (random or otherwise). Maybe you’ll look forward to the Thursday post to get a fix of positive energy. More of What Jesus Taught? Steven Sadleir, author of Looking for God: A Seeker’s Guide to Religious and Spiritual Groups of the World, is coming out with a new book on Thursday. 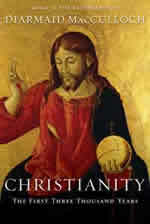 It’s called Christ Enlightened, The Lost Teachings of Jesus Unveiled and you can read more about it on this website. According to the site and this press release, the book uncovers a wealth of material about additional lessons from Christ, including how to “realize God by going within–the Kingdom of Heaven was the enlightenment of the consciousness.” Sadleir claims these teachings were rejected by the early Greco-Roman churches. If you would like to tell Mr. Beck how you feel about Social Justice and pass along the fact that Jesus was a fan (of Social Justice, not of Glenn Beck), the good folks at Sojourners have an online “Take Action” form.